Salt (the right kind of salt at least) is an essential food due to its high mineral content including electrolytes and iodine. Natural salt aids fluid regulation, vascular health, muscular function, metabolism and hydration to name a few. If you suffer with frequent muscle cramping/twitching, you could benefit from mineral salt. 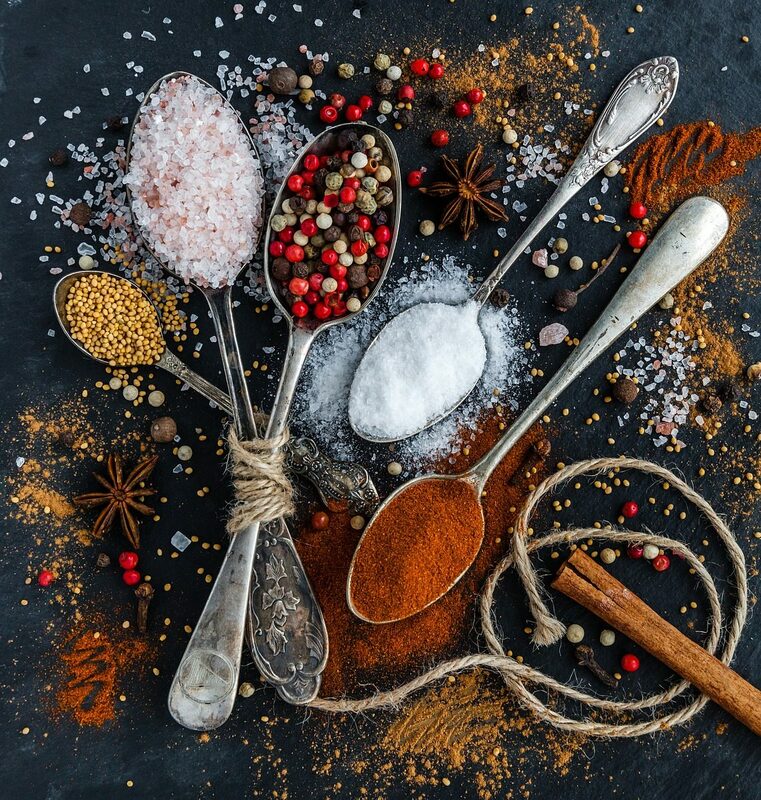 Flavoured salts are a great way to flavour up foods – use as a rub on meats and fish, sprinkle on salads or veggies, and use to season casseroles – the flavours really lift and alter a meal! Himalayan Salt (the pink kind – available now from health shops) or Celtic salt (the grey one, with a moist consistency). You need 3 times the weight of whatever you choose to add in to the salt mix. * the added ingredients should be crushed in a mortar & pestle, or ground in a food processor. Ginger, lemongrass or fresh chillies should be dried out first by using a dehydrator or slicing and placing in a warm oven for a time. Pass the flavoured salt through a seive if you prefer the mixture less coarse. You can also place the mix into a warm oven/dehydrator overnight if you want to make it more granular, but putting straight into a jar is fine, then smash up a little before using.